The piece was a perfect fit. However, the original one is "rivetted" to the snowblower. I had to pound those out and then find bolts that I could then mount the new piece. Once that was done, the piece was an exact fit. Again, reasonable price and quick shipping, Should charge a bit more and include rivets. 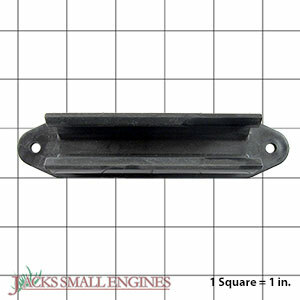 Ask us about the Ariens 00170300 Clean Out Tool Mounting Bracket. Please no repair questions. Your Q&A may be posted to Jackssmallengines.com to help other shoppers, like you, with their purchasing decisions. Thank you. Does this part come with the pop rivets to install it? John, this is just the mounting bracket. Hardware is not included.